So-called “pharma bro” Martin Shkreli earned the eternal ire of the public when he was the CEO of a company called Turing Pharmaceuticals, which he had buy up the rights to and jack up the price of life-saving drug Daraprim from $19 to $1,052 a pill. He then landed himself a seven-year prison sentence in 2018 on three unrelated counts of securities fraud and conspiracy, with a jury finding that he defrauded investors in two hedge funds in relation to his management of a separate company, Retrophin. At least, that’s according to a Monday report in Forbes, which said sources say Shkreli is in “solitary confinement at Federal Correctional Institution in Fort Dix, New Jersey” after the Wall Street Journal wrote last month that he was still running one of his companies from prison with a contraband cell phone. Shkreli, identified by the Journal as “inmate 87850-053,” was reportedly still involved with “his private Swiss drug company operating out of Manhattan” — now rebranded as Phoenixus AG. His back-of-the-commissary-envelope calculation indicates that Phoenixus could be worth $3.7 [$AU5] billion by the time he is due to be freed in 2023, according to a person familiar with his thinking. His plan involves acquiring more rare drugs in various stages of development and ploughing money into an ambitious research-and-development agenda. Both are guided by his long days reading pharmaceutical research. He has, for now, abandoned the strategy that led to his explosion into the limelight in 2015 when Turing raised the cost of an HIV drug to $750 [$AU1,052] per pill from $13.50 [$AU19]. This does sound exactly like something Shkreli would do! In 2017, right before he got thrown in prison ahead of schedule for offering his Facebook followers $7,015 to rip out a chunk of Hillary Clinton’s hair, Shkreli told Gizmodo colleague Matt Novak via email that prison would “be a good opportunity to read and reflect and also i can make paper from inside.” Close readers may notice that “making paper” is common slang for “accruing wealth”. Both the contraband cell phone and running a business from behind bars are explicitly barred by prison policy, the Journal wrote. According to Forbes, a source close to Shkreli’s legal team as well as a fellow inmate, ex-hacker Justin Liverman, said that Shkreli was being held in prison’s special housing unit. The Bureau of Prisons additionally told the magazine it could not disclose details of a particular inmate’s “conditions of confinement”, but did say that it investigates alleged misconduct and “appropriate action is taken if allegations are sustained." Let’s get one thing straight, though. The ACLU regards solitary confinement, which is very widespread in U.S. prisons as a punishment for even minor infractions of rules, as a violation of basic human rights and a cruel and unusual punishment that should be prohibited under the constitution. Many mental health professionals refer to it as an outright form of torture, while United Nations officials have called for it to be banned internationally since 2011. That Shkreli happens to be an incarcerated person who is particularly disliked by so many people doesn’t make it any different, especially because convenient villains are routinely used to justify systemic abuses of human rights. 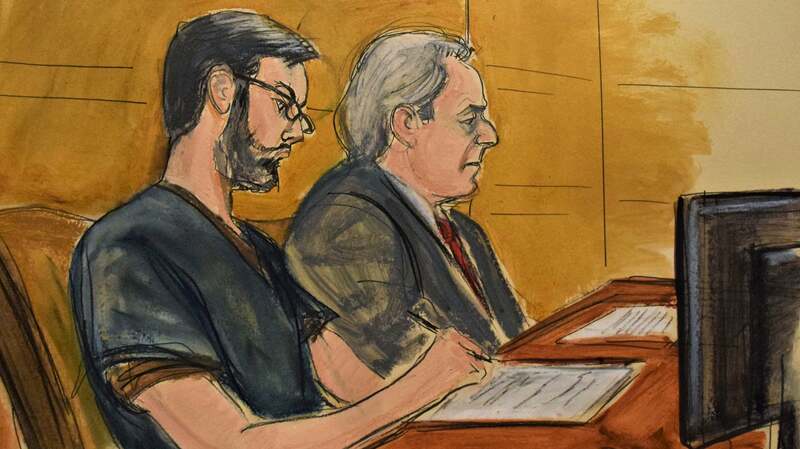 According to the Journal, Shkreli’s alleged attempts to run Phoenixus from behind bars may end soon with or without subjecting him to inhumane psychological conditions. He owes the federal government approximately $11 million as part of his sentence (subject to appeal), but only has $7 million cash on hand and has already been ordered to surrender expensive possessions like the only recording of a Wu-Tang album and a Picasso painting, the paper wrote. That alone may force Shkreli to start cashing out his shares in Phoenixus, while court documents show that Retrophin is still pursuing a civil suit against him, the Journal concluded.